The last few days I have been reflecting on my 2010 gamble with Motorola call options. Well, that didn’t go so hot, and in January my options contract will expire and I’ll have lost a total of $3,100. Barring a miracle next month this was indeed a bad run. For 2011, I’m going to be swearing off options. I may participate in some selling of covered calls, but I’m going to stay away from using them as a way to gamble on hunches I have about the future. Instead, I’ll be sticking with regular, boring old stocks. 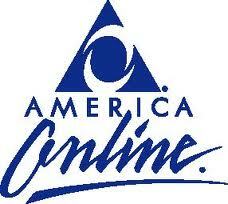 This year I have a hunch that AOL (yes that AOL… America On Line) is going to make a come back. The future earnings projections are pretty abysmal, and I think people are being a little too negative about the company. While AOL currently relies on old school dial up internet subscribers for a majority of their revenue (approx. $250 million in the last quarter), they are investing in a number of different areas to try and generate new streams of revenue. At the same time, they are acquiring internet properties with high traffic volumes. In fact, last quarter they bought TechCrunch.com. Also, the numbers look especially bad right now compared to the recent history. I believe most of this is from shutting down operations and selling off some of their assets. Hopefully, starting in 2011 things will stabilize and they can focus on expansion instead of controlling the losses. So, how am I going to play this? Well, I think the next quarterly statement might be pretty bad as well, so I don’t want to go all in at this point in time. I’m going to buy 100 shares of stock this week and wait to see what happens. If the stock tanks after the next quarter, I’ll double down and lower my cost basis. Otherwise, I’ll stick with my 100 shares and see how the year goes. PS. If I had just bought stock for my hunch on Motorola instead of buying stock options, I’d only be down 3%. That sounds a little more appealing than my current 92% loss. If you immediately thought to yourself… “because he doesn’t have any money” after reading the title, you are only partly correct. Rule #1 – Don’t lose money. Rule #2 – Don’t forget rule #1. While this is somewhat of a humorous take on money, there is some truth to it. While one of the richest men in the world can get away with joking like this, how could this be applicable to mere mortals like you and I? Don’t lose money to the scammers. I have a rather broad definition of “scammer”. A mutual fund loaded with hidden fees, a broker charging Grandma $150 to trade a stock, or a “Free Investing Seminar” hoping to lure you in and convince you to hand over money are all types of things that need to be avoided. Don’t lose money by chasing the bull. Wayne Gretzky was awesome because he “went to where the puck was going, not where it already was”. We should try to do the same thing. A few weeks ago, I was talking with a Program Manager from Apple (he worked on iTunes), and he was literally in love with Apple stock. While I can understand his reasoning, because he could very well be a millionaire from his stock options, he actually was recommending that I should buy in too. No thanks! He said “It just hit $300, it’s great!”. I replied that is exactly why it’s the wrong time to buy. Apple could very well keep going up, but will it go up 1,000% from where it is today? No way. Back when Steve Jobs re-joined the company is when we should have bought that stock. In 1997, the stock was trading for around $17. If you bought $10,000 worth of Apple stock back then, it would be worth roughly $175,000 today. Don’t lost money by taking unnecessary risk. I’m one of the worst offenders when it comes to this one right here. I should have learned my lesson by now, but I keep making the same mistakes and taking the same risks. While this type of problem could take many forms, my problems is trading stock options. Stock options are supposed to be used to reduce risk, allowing you to shield your investment from big swings in the market. Instead, it can also be used to legally gamble with your hard earned money. This year I made a pretty big bet with Motorola. In January of last year, I bought about $3,000 worth of Motorola $10 call options with a maturity date of January 2011. My rationale was that the Android phones were going to rise and take over this year, pulling Motorola up with it. Unfortunately, this doesn’t look like it’s going to happen and I just wiped out any other gains I would have made this year with other investments. While if I had guessed right, and gambled on Apple, I probably would think I was sooo smart, at least I hope to learn to leave those options alone. Maybe there’s other ways to lost money that I haven’t mentioned here, but these were just the few that came to mind as I was writing this. No doubt, I’ll probably find a way to lose money in the future, and if I do, I’ll be sure to share. I’m probably going to pay some more “dues” for enrollment in the School of Stock Market for this, but I guess it’s part of the learning experience. Today I sold my first covered call. So what the hell does that mean? I currently own 100 shares of General Motors. Today it is priced at around $12.50, so my total investment is $1,250 (ps, I originally bought it for $10 per share). And today I sold a call option for October 18th with a strike price of $15.00, and after commissions I made about $50. A call option gives the owner the “right” to buy a certain stock for the strike price on the expiration date. So in my case, I gave someone else the right to buy my shares of GM on October 18th for $15 each. By doing so, I sold my right to any profits if the stock goes above $15 to whoever bought this option from me. If, at the end of the month, the stock is below $15, the option expires and I get to keep the $50 (a 4% return on my investment in 1 month). In essence, I’m making a bet that the stock won’t appreciate by 20%. The only way I can lose money in this is if GM goes below $12.50 per share (which is very likely). But considering I plan on holding this stock for at least the next year or so, I at least get a little cash from the options sale in the meantime. If you look back on the archives of this blog, you’ll see all the issues I’ve been having with Zecco. All I want to do is fund my account and their website doesn’t want to let me do so. Up to this point I’ve jumped through hoops to get my funding account set up, and have been really confused in the process with weird pages that don’t make sense and error messages that are very confusing. 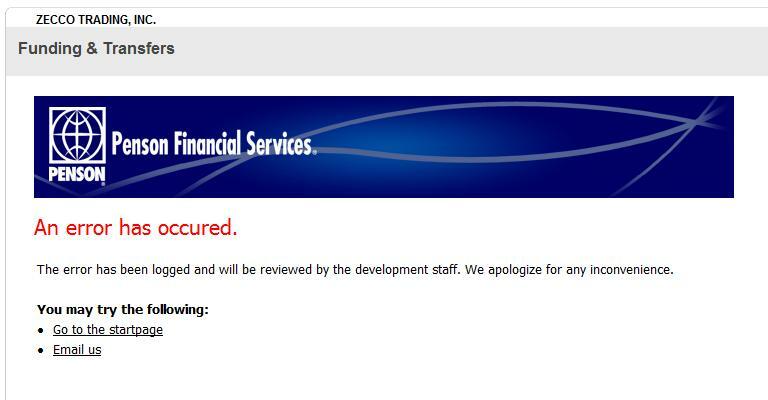 I’ve finally got to the point where I’m ready to transfer cash into my Zecco account, but once again, I get an error. All I do is click on a link to “Move Cash”. Needless to say, my confidence in their ability to keep my information and money safe is waning. I figure I’ll give them one more chance. If their site isn’t up and working 100% by tomorrow, I will no longer even consider funding my account. Usually I would have said “The Hell with them…” long ago, but their site does promise to save me money. I guess we’ll just have to wait and see how it plays out. Two years ago, I got into trading stocks very heavily. I would buy and sell at least once a week. At one point, I even joined a paid for a stock trading newsletter. I followed this newsletter’s advice and rebalanced my portfolio every month when it was published. I did ok as far as returns went, but I certainly didn’t make that much. I think it was a great experiment, but the real learning happened when I did my taxes for that year. As I looked over how many trades I did, and also agonized over how much of a pain it was to fill out those tax forms, I realized I could have doubled my returns if it wasn’t for commission. Every time I bought and sold a stock through the online broker, I gave them around $25. When I totaled this up, it came to around $2000. I wished there was a cheaper way, but back then there wasn’t. Today I decided to look into Zecco.com (the name stands for zero commission). This site will allow you to trade up to 20 times a month for free, as long as you maintain a minimum account balance of $2,500 (for now). Unfortunately, I am unable to fund my account because a bug in their website. Though this does worry me about giving my money to a company that has buggy software, if it works it would be worth it in the long run for free trades. I have sent an email about the issue to customer service and haven’t received an answer, but I will keep you posted on the progress my trading. Check out Zecco.com for yourself.